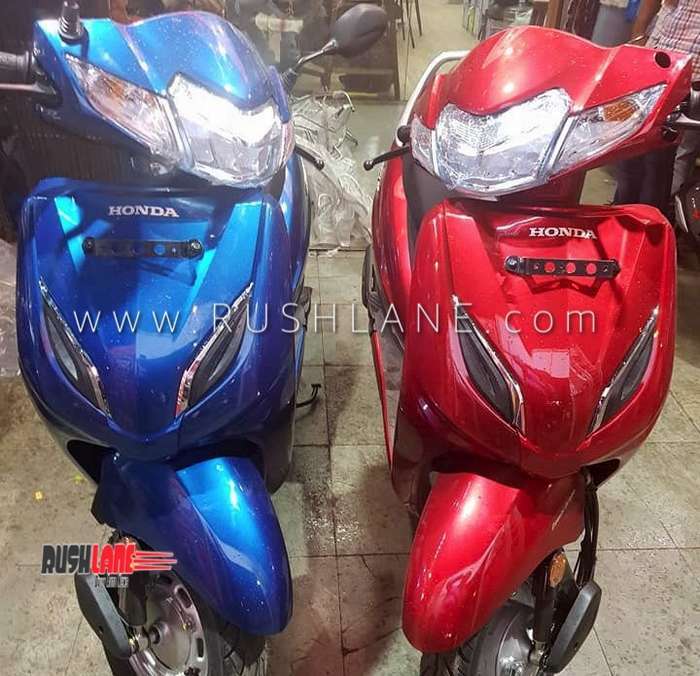 The Honda Activa was at the top of the list of best selling scooters in December 2018 with a total of 1,74,393 units sold. Sale of scooters through the festive season was way below expectations and this trend continued through December 2018 as well. Every two wheeler manufacturer posted lower than expected sales in the past month with various factors contributing to this low sales pitch. 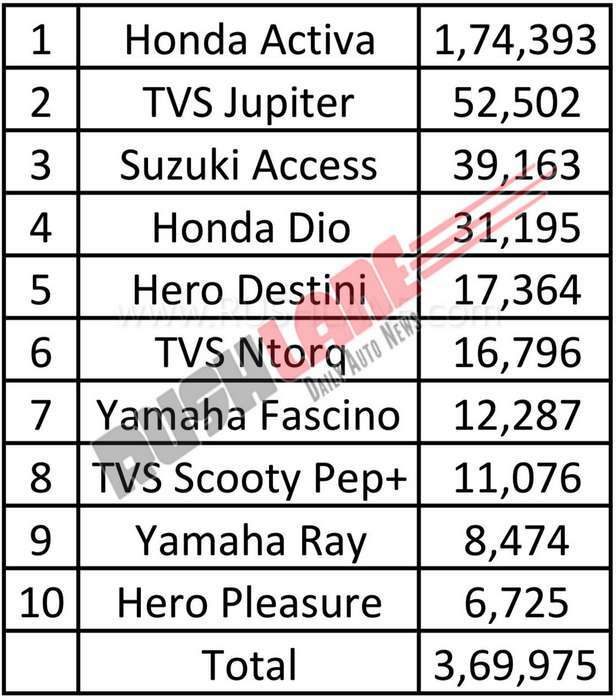 A total of 3,69,975 scooters were sold during the month of December 2018 with Honda, TVS, Suzuki, Hero and Yamaha claiming the charts. As a regular feature, the Honda Activa was at the top of this list with 1,74,393 units sold followed by the TVS Jupiter at No. 2 position, of which 52,502 units were sold during the month. TVS also had the Ntorq the recently launched premium scooter and Pep+ at Nos 6 and 9 with a total of 16,796 units and 11,076 units sold respectively. Suzuki Access 125, a premium 125cc scooter from the Japanese manufacturer, made its debut after a long time and features at No. 3 spot on the list of best selling scooters with a total of 39,163 units sold during December 2018. Hero MotoCorp had the Destini 125 at No. 5 and Pleasure scooter at No. 10 with 17,364 units and 6,725 units sold respectively during the past month. Yamaha had the Fascino scooter and Ray scooter at Nos. 7 and 9 respectively of which 12,287 units and 8,474 units were sold in December 2018. From the above figures it is clearly evident that 2018 did not end on a positive note. There was a distinct slump in scooter sales which could be attributed to hike in insurance costs, higher lending rates and regulatory changes coupled by poor demand from urban areas and maintenance shut downs at manufacturing units. With new safety regulations coming into effect followed by a transition to BS VI emission norms, cost of two wheelers is bound to go up which will heavily impact cost sensitive consumers. However, with improved liquidity and better market sentiments, the overall scenario in the scooter segment is due for a change which will be evident in the months ahead.